Ahmad Sharif describes himself as a physician by training with the passion and experience of a tech expert. 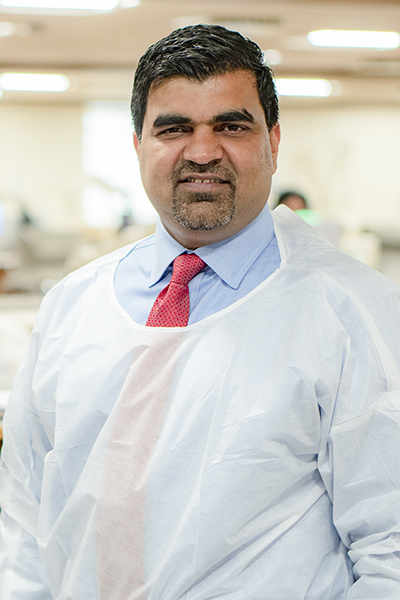 Early in his career, Sharif was approached by an EHR company to review one of its products and was struck by how misaligned the content was with a surgeon’s thought process and workflow. “It didn’t look like anything a surgeon would do. The software designers looked at surgery workbooks and went from there. Documentation was backward, and they had some processes at the bottom that needed to happen at the beginning,” he explains. The experience brought to light the many gaps between IT and medicine, and the wheels were set in motion for Sharif to dedicate his career to bridging those gaps and improving patient care through thoughtful design, development, deployment, and optimization of IT. After that experience, Sharif joined an EHR company and consulted with health systems across the globe supporting technology implementations, optimizations, and governance of clinical information systems. Sharif knew that he had to develop a good understanding of the software development life cycle and how best to communicate with IT teams to help physicians provide the best care, so he taught himself to configure and code clinical applications. He eventually took a position as the CMIO at Resolute Health, where he created a hyper technology-enabled environment from scratch. Under his leadership, Resolute Health System achieved the landmark HIMSS Analytics Electronic Medical Adoption Model Stage 6. In 2015, he joined Fresenius Medical Care, a leading global renal products, devices, and services company. Fresenius Medical Care North America operates more than 2,700 dialysis clinics, vascular access centers, and urgent care clinics, among other chronic disease management services. 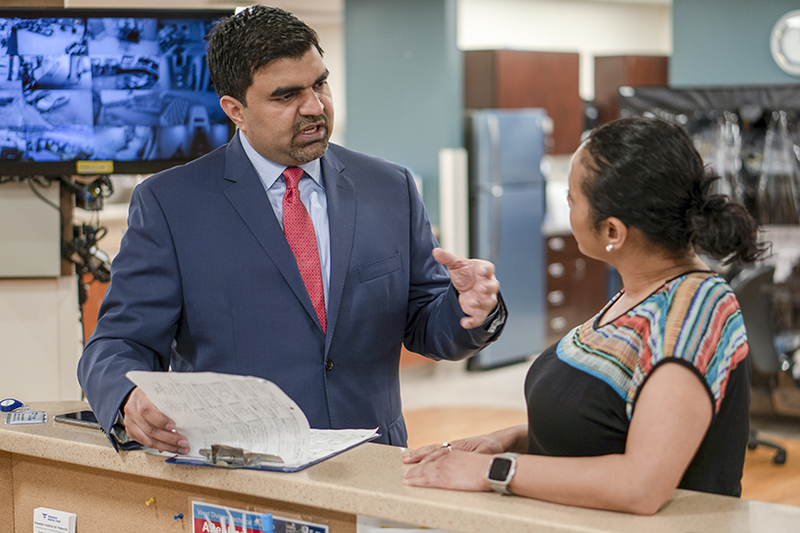 At Fresenius, Sharif is the senior vice president and CMIO, where his focus is on using technology to enable and support clinicians so they can provide the best-quality care. Sharif emphasizes that technology solutions should be user-friendly and centered around a user’s workflow. To facilitate clear communication between IT engineers, clinicians, and business colleagues, Sharif encourages the IT team to ask probing questions. He stresses the importance of not only listening to what clinicians verbalize, but also observing how they work. IT and informatics staff visit Fresenius’ dialysis clinics and other care venues to observe how the products they create are being put to use and to then understand the vast complexities of care delivery. Through a balance of conversations and active observation, IT staff can ask clinicians questions about what they need and then build appropriate tools to support patient care. Sharif also strives to create an environment in which the contributions of the IT team are supported and appreciated. He notes that typically IT receives attention and scrutiny when something isn’t working properly. However, Sharif recognizes the team needs to also receive acknowledgment for things that work well. He celebrates National Health IT Week at Fresenius and consistently reminds his IT team that they are an intrinsic part of delivering high-quality patient care. With constantly evolving IT solutions, Sharif has become adept at change management. “To be a change agent, you need to learn what the environment is like, what motivates people, and what their drivers and pain points are,” he explains. “The first step to implementing change is to over-communicate so that everyone understands the rationale behind the change.” Sharif says that getting buy-in from the right stakeholders within an organization is important, and he cautions against a one-size-fits-all approach. Something that worked previously at a different organization may not work as smoothly in another context. 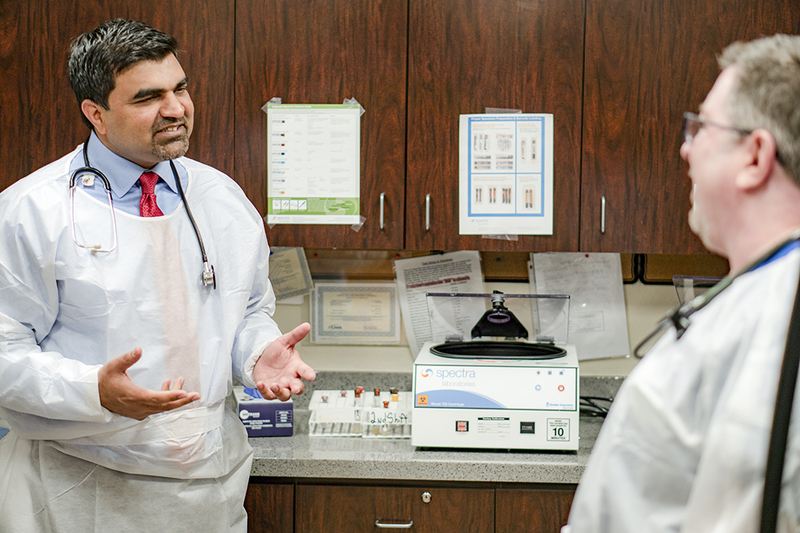 Currently, Sharif and his team are cultivating products that help patients take control of their care at home. Fresenius’ clinical, business, and IT teams are dedicated to developing solutions that will help patients interact virtually with their providers, and are investing in systems and tools to provide proactive interventions and support programs for patients and providers. Another priority for Sharif is providing best-in-class solutions for nephrology practices. Acumen Physician Solutions is a Fresenius subsidiary and a leading nephrology practice EHR system. Acumen recently partnered with Epic to power their next generation EHR system called Acumen 2.0. This unprecedented partnership allows nephrology practices to take advantage of Epic’s powerful tools with Acumen-developed, nephrology-specific workflows, content, and services. Acumen has recently added Acumen Revenue Cycle Management Service to support the nephrology practices. Acumen Revenue Cycle Management is the solution for allowing doctors to spend more time with their patients while Acumen’s trusted, experienced team manages the practice’s billing. Bridging the gaps between clinicians and IT is ultimately a means to improve patient care, but it comes with the additional benefit of improving the financial health of the practices. Acumen Revenue Cycle Management helps practices get paid faster, with fewer denials and more efficient claims, ultimately leading to more attention to patients’ care.